Hollywood has had its share of big-budget biblical flops, but until now, the Exodus narrative has not been among them. Studios have brought Moses to the big screen sparingly, but in ways that defined the image and character of Moses for each generation of audiences. 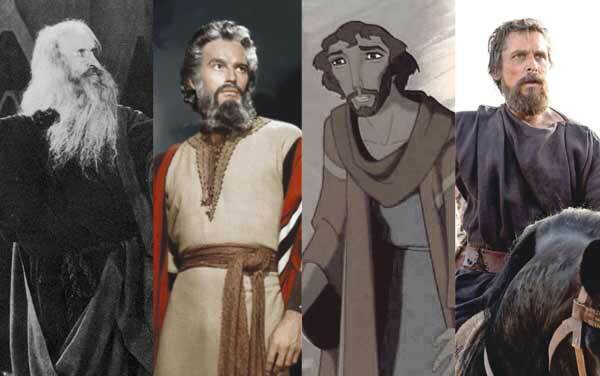 From left to right, Theodore Roberts in “The Ten Commandments” (1923), Charlton Heston in “The Ten Commandments” (1956), Moses voiced by Val Kilmer in “The Prince of Egypt” (1998), and Christian Bale in “Exodus: Gods and Kings” (2014). Credits (left to right): Paramount, Paramount, DreamWorks, 20th Century Fox. Photo illustration by Marshall Weiss. Theatregoers flocked to it across America for more than a year. 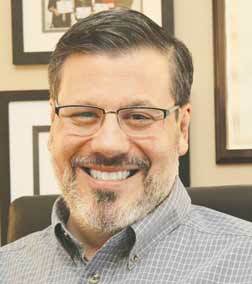 This story was originally published by The Dayton Jewish Observer. They are Cosmos Mysticism and in addition can have great Psychological Value across the spectrum of beliefs the Humanitarian Ones that is .We don’t fully Know about Moses but the Old Testaments reveals parts I’d rather have not yet Substantiated .There are Progressive Humanitarian themes but also some Impossible to justify Barbarism tho Common through out Human History .And Sometimes you have to fight Ruthless for survival .Isiaahs Dream of a Utopian Benevolent Future seems Far away.